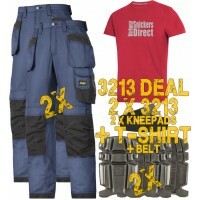 Snickers Trousers with Knee Pads offers at Snickers Direct. 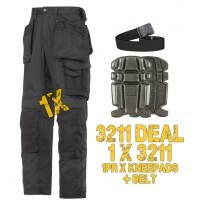 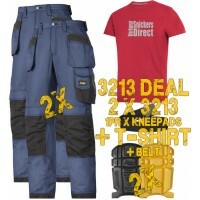 Check out our range of bundles and offers on Snickers Trousers with Knee Pads. 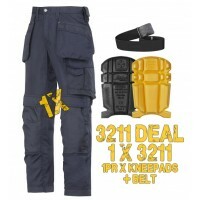 Knee pads are great for offering extra protection and comfort to those who spend long working hours kneeling. 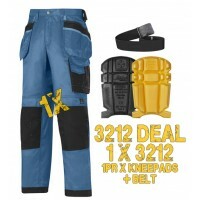 Industries such as plumbing and floorlaying really benefit the addition of knee pads, so check out our offers today! 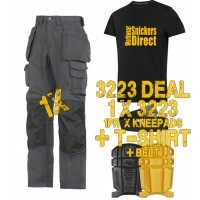 Snickers 2 x 3213 Kit Inc Snickers Direct TShirt, New Rip-Stop Snickers TrouserModel 2 x 3213 S..
Snickers 3211 Kit Inc 9110 Kneepads & A PTD Belt, Snickers TrousersDescription of the Snickers H..
Snickers 3211 Kit Inc 9111 Kneepads & A PTD Belt, Snickers TrousersDescription of the Snickers H..
Snickers 3223 New Floor Layers Workwear Trousers x 1 Plus 9110 Knee Pads, Belt, T-ShirtModel 3223 x ..
Snickers 2 x 3213 Kit Inc Snickers Direct TShirt, New Rip-Stop Snickers TrouserModel 2 x 3..